Your kid is a fashion icon, so make sure they hit the classroom with their Dolce & Gabbana Kids™ D&G Backpack. Made of a durable nylon fabrication. Brand logo along the front. Dual exterior slide pockets with drawstring closure. Spacious interior features multiple open compartments. 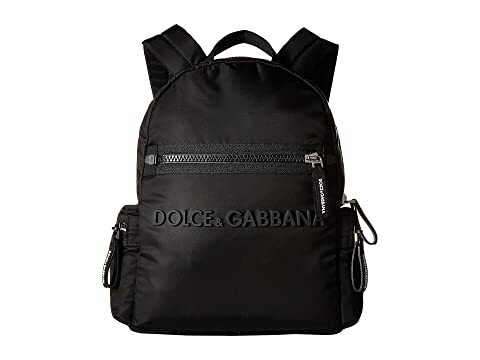 We can't currently find any similar items for the D&G Backpack by Dolce & Gabbana Kids. Sorry!